In mid-2015 Greece was in turmoil, with banks closed and voters rejecting the austerity bailout terms from the European Union. Yet on its eastern islands, close to the Turkish mainland, a different crisis was taking place. 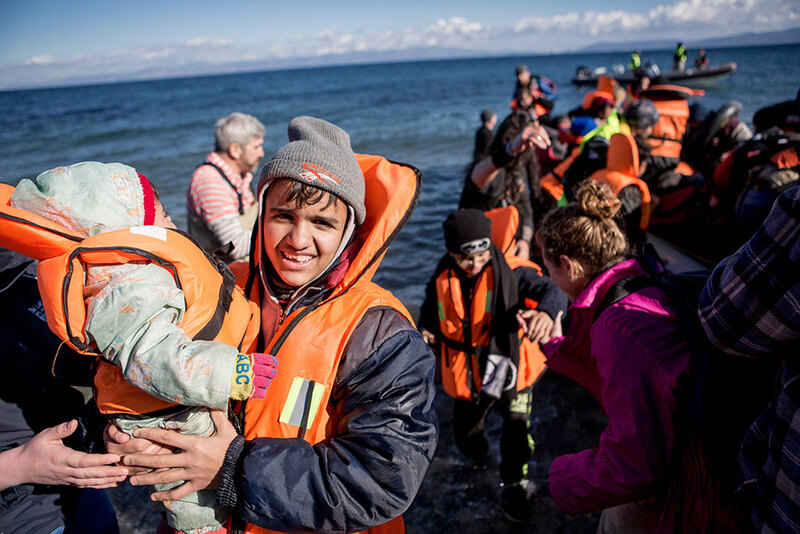 Hundreds of thousands of desperate people, pregnant women and infants among them, were crossing to the islands in fragile boats, fleeing violence and destitution in their home countries: the biggest refugee crisis in Europe since World War Two. ActionAid Hellas could not stay indifferent in such an important historical moment for the arriving refugees and the country. 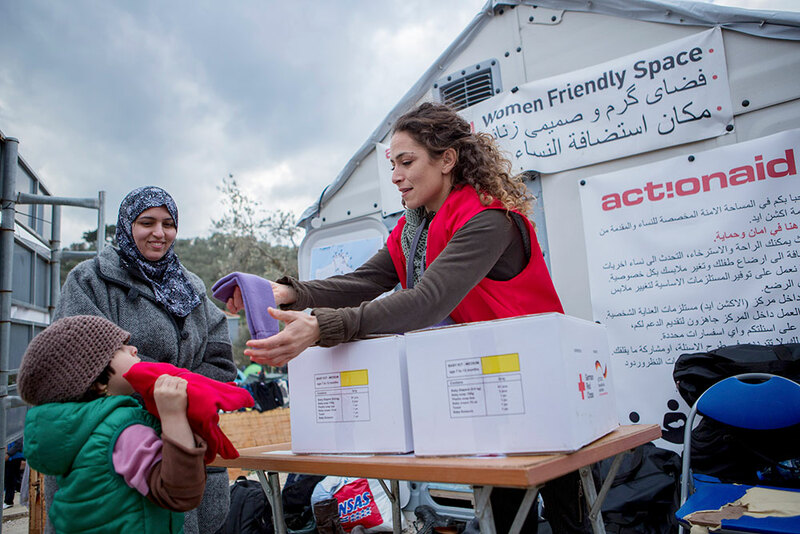 For the first time in the history of ActionAid Hellas, the organisation decided to engage directly in supporting refugees in Greece, especially women for their protection and safety. Disembarking a dinghy on Lesvos, glad to have made it to land. - Sotiria Kyriakopolou, Protection Manager. “Have you seen horror movies? I have lived through one… The Taliban think women are worthless. They are good for one thing only: to be raped… The Taliban want to keep women illiterate, uneducated. But if we remain uneducated how can we then bring our children up properly? Azita (not her real name) had a hazardous journey out of Afghanistan, suffering freezing mountain conditions and being abused by people traffickers. Finally she and her husband made it to the Turkish coast. “100 people in one dinghy. Men, women, children, all in. When we pushed the dinghy to the sea, it tore at the bottom, but we didn’t know. Soon enough we were fighting for our lives. We said to ourselves: This is it. It’s the end. This is how we will die… And then a miracle happened. The Greek coastguard saw us and they rescued us. 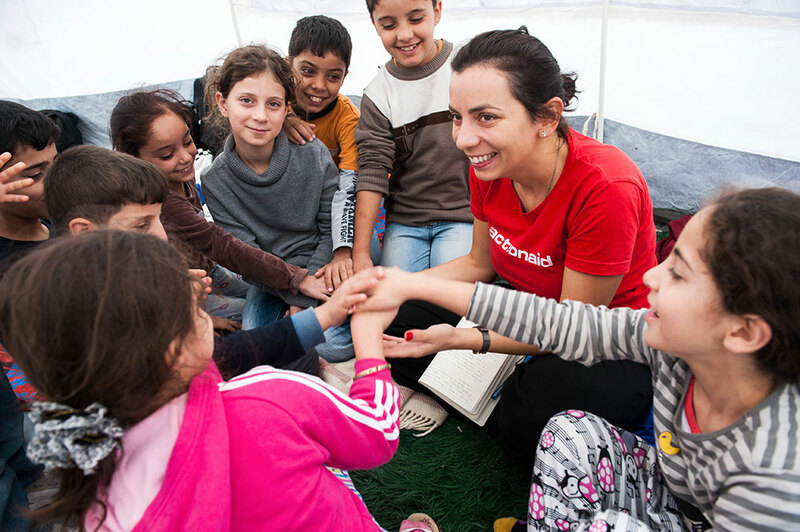 By September 2015 ActionAid Hellas had started working in the Moria and Kara Tepe camps on the island of Lesvos. As in all emergencies we focused our support on the most vulnerable people; pregnant women, the unwell, people with special needs. Our main concern was to support women to be able to improve their own situations and those of their families. And we know from experience that empowering women can have the most positive impact within communities. 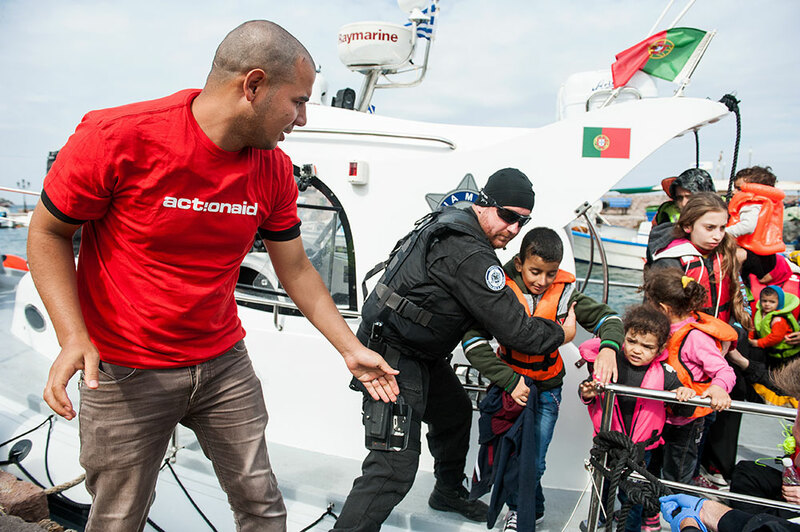 “When we got on the boat I was really scared. We were on the boat for a really long time. I was hungry and thirsty and the waves were so big, they kept coming over our heads. I got really wet and cold. “My big sister was scared we were going to die. It was scary at the end because the boat crashed into some rocks and sank. I fell into the water and I lost all my things. My mum got sick when we got off the boat. She couldn’t walk properly, so a nice lady was looking after me. “ActionAid took my mum to a doctor. They could speak our language, so they could help tell the doctor what was wrong with mummy. They gave us some warm clothes and took us to their centre where mum could sleep and I could play. Believing in the fundamental importance of people’s dignity as human beings in this most distressing of situations, we consulted people about their needs, rather than assuming what these were on their behalf. They told us that their priorities were reliable information in their own language, so we rapidly recruited Arabic and Farsi speakers resident in Greece; psychological and social support to help deal with the traumas they had suffered and to provide confidence to move forward; essential winter items such as blankets, hats and gloves to survive the harsh conditions of a European winter; skills and activities: Greek and English classes, arts and crafts – both practical skills, creative activities and physical fitness to provide people with some relief in the camps. As well as this, we made sure to raise our voice on their behalf to highlight their needs, lobby for solutions and raise funds for our work. Much of our activity was centred on Day Centres safe places dedicated to women and their babies inside the camps. 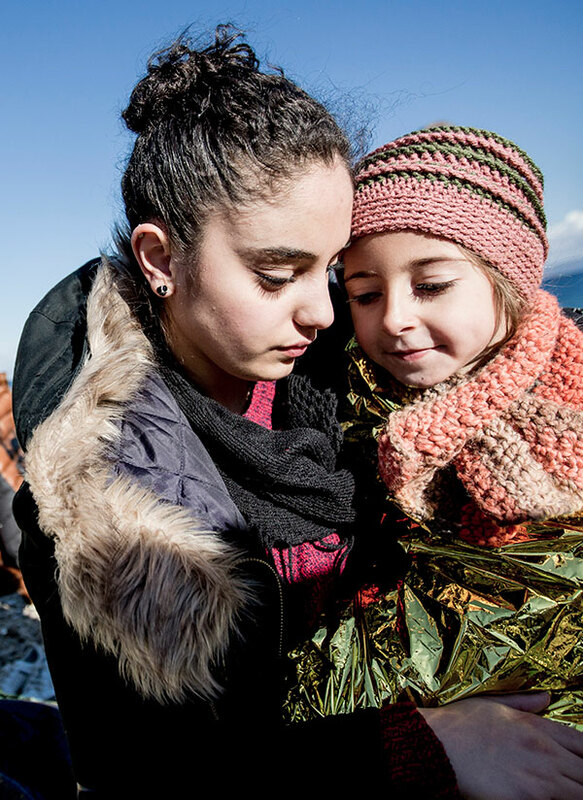 Walaa is a refugee from Syria, whose daughter was still injured from a bomb blast when they arrived in Lesvos. 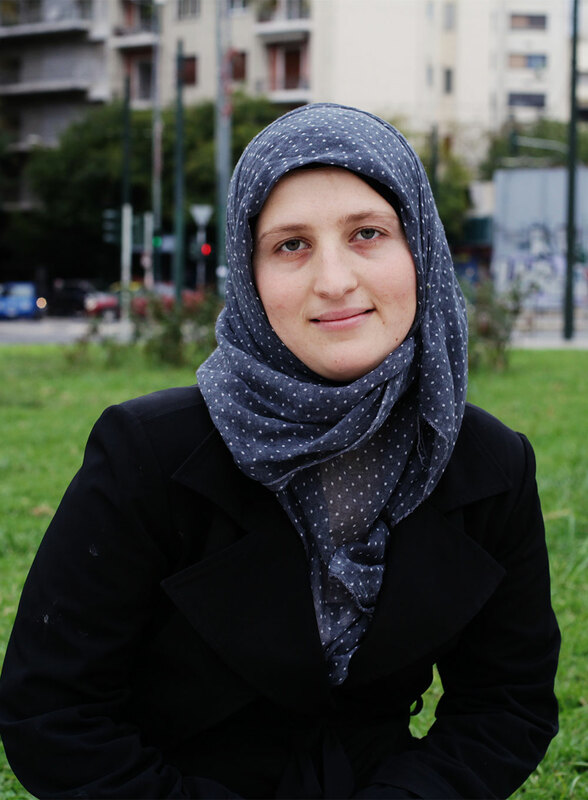 Jannete is able to speak with refugees in Arabic. Psycho-social support is especially important, especially for children refugees. As well as women-friendly spaces, basic winter-wear can make a crucial difference. Arts and crafts offer some respite from the otherwise sparse camp life. In March 2016 the situation changed. Borders on the route to other European countries had closed, effectively trapping more than 60,000 people in Greece staying in camps, detention centres and abandoned buildings all over the country. And then the EU, desperate to stem the flow of people seeking safety in Europe, struck an unjust and inhumane deal with Turkey to prevent the boats leaving and to return asylum-seekers whose applications had failed, trading away the human rights of people fleeing war and persecution. Amina’s husband, who was in a wheelchair, died when their boat sank. He is now buried on Lesvos. 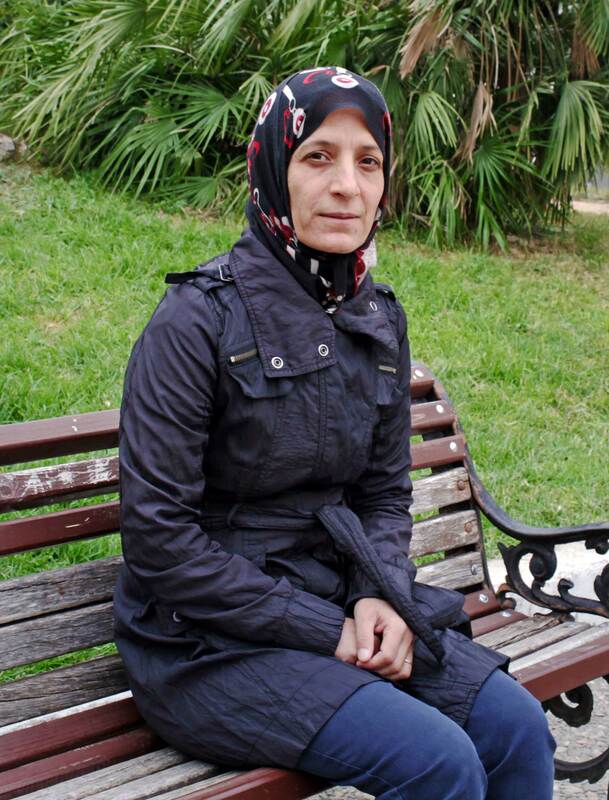 She was rescued the day before the EU-Turkey deal but needed to prove it in order to qualify for the relocation programme. Amina’s story was also covered in this short BBC interview. Amina’s application has been successful and she has received an offer of relocation to Ireland where she intends to resume her career as a nurse. Alongside other agencies ActionAid suspended work in Moria camp in March 2016, in protest against the inhumane conditions when the reception facility was turned into a detention centre. We later returned to offer humanitarian assistance after a devastating fire in the camp caused by overcrowding in September 2016. After the borders closed our work changed: it was not about meeting the needs of a transient, displaced population, but those of a vulnerable people who would remain in Greece for an indefinite time. In May 2016 we extended our work to the region around Athens, at the camps of Schisto and Skaramagas. Reluctantly, due to insufficient funding, we later had to withdraw from Lesvos where arrival numbers were falling; handing our work in Kara Tepe camp, which still continues, to Caritas. Namja is sitting on the edge with a broken road behind her. Athens is under her and in front there is a dark tunnel. She participates in the psycho-social programme and other activities in Schisto that ActionAid organises. Namja gave her drawing as a present to our sta and it is now on the wall of the ActionAid Hellas office. In March 2017, a group of women refugees took the lead in the production and writing of a play called “Voices without Voice”. The women acted alongside men refugees, performing their play to an audience of residents from other camps, ActionAid staff, the NGO community and local people. The refugee actors and their supporters were Afghanis and Iranians from Schisto camp. has been vital to meeting people’s needs. Rather than duplicating others’ activities we have looked for gaps that we have the experience and expertise to fill. Psychological support and building women’s confidence to interact with the societies they have found themselves in have been a crucial contribution. 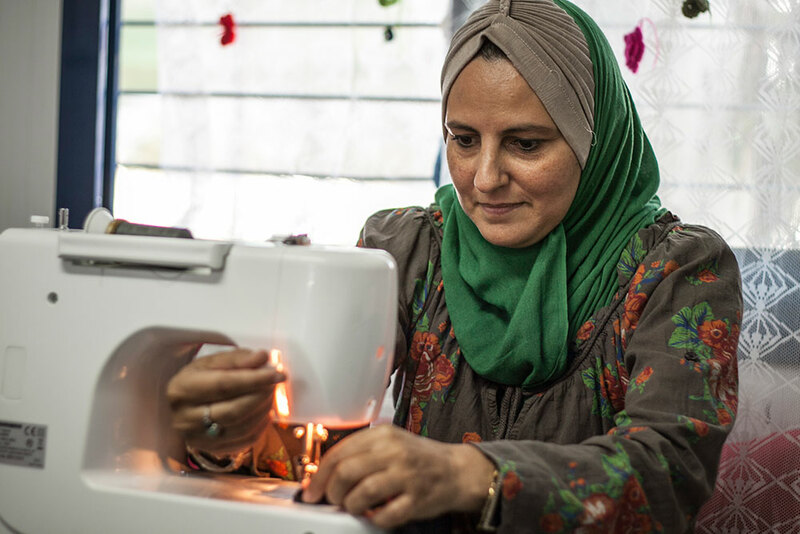 In the stressful conditions of the camps, couples’ counselling and opportunities for expression have been important to support families to stay strong. Unfortunately funding was not available to maintain our current Attica camp operations. The Greek government has also signaled a national shift of closing refugee camps and integrating refugees within an urban setting. 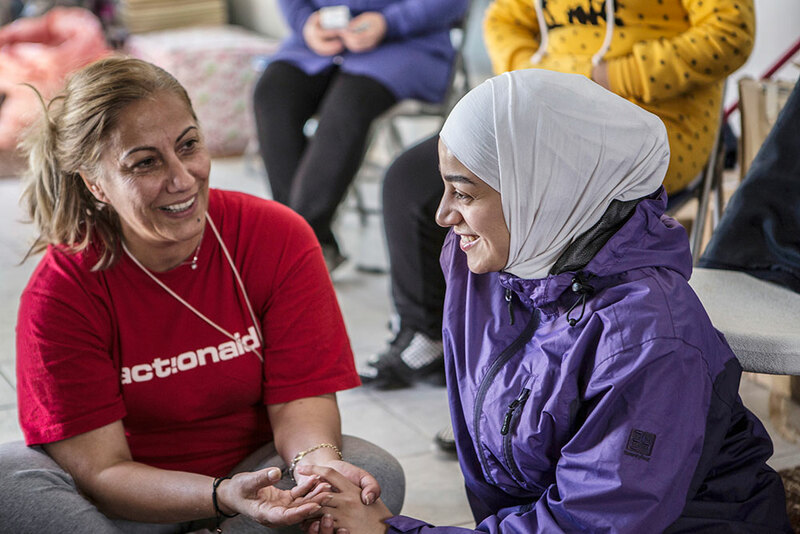 As the situation continues to change, ActionAid will strive to meet needs of these refugees by helping with health and wellbeing, legal support, education and urban resilience. We will continue to support refugees, especially vulnerable women, as they live in Greece or transition to other countries.